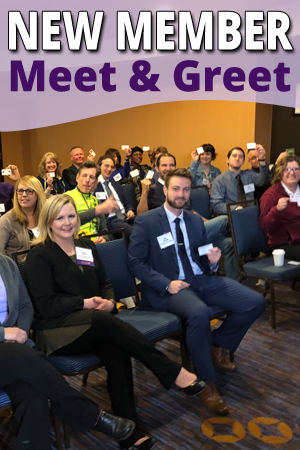 If your business or organization has recently joined the Ulster Chamber of Commerce or if you’re a new representative of an existing Chamber Member, plan on attending our next New Member Meet & Greet to introduce yourself. Opening doors for you and making connections with other local business leaders is what the Ulster Chamber is all about! All Chamber Members will have two to three minutes to talk about their business and hand out business cards. Don't keep your business a secret! Referrals from other people are one of the most powerful ways to build your business. PLEASE NOTE: Our website is intended to make the registration process easy. If you’re a Chamber Member, you’ll need login information to register. If you don’t have login information or you need assistance, please call the Chamber office and ask for Bob Hirsch (845) 338-5100, ext. 103 or Bob@UlsterChamber.org. There is no charge for Chamber members to attend. Reservations are required.